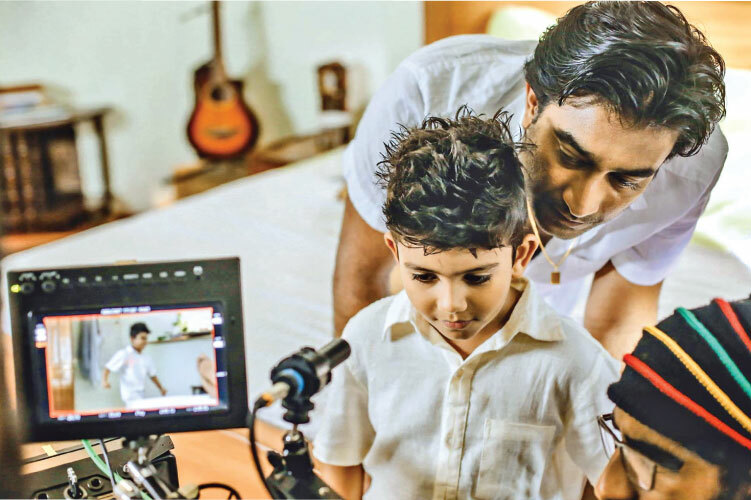 Sasaren Aa Mithura is a heartwarming and beautiful tale of a father and son. Fathers and sons have a special relationship. It is the beauty of this relationship that the story tries to bring out. It is an unforgettable tale that shows the purity of love, and the trust fathers and sons place in each other. Though the specter of death comes into the tale, this is a love forever. 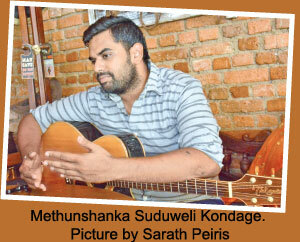 Melodies spoke to Methunshanka Suduweli Kondage who wrote, composed, scripted and sung the song. “Well, basically Sasaren Aa Mithura was written, composed, scripted and sung by me. You can hear my voice, words and melody and see a story I wrote inspired by a legend we know. This was more like a debut to me, no one in the industry actually knew me, they still wouldn’t know me but I’m sure almost all of them now know of Sasaren Aa Mithura. We as a team have been very successful with what we produced, and it had made a lot of people tear up so far, which I actually didn’t expect but it’s very surprising to hear its reception,” said Kondage. The song was inspired by a true story and it is no surprise that it has made people tear up because it speaks of family and the importance of family and family is your first priority. “The father who is one of my closest friends, had this amazing little champ, who was very much more advanced than kids nowadays, with full of love and life. His loss at the age five and a half, changed the lives of his parents and a lot more around them. He was a beacon to everyone, showing a righteous path in life, It is him who we all now know as “Sasaren Aa Mithura.” This song was a request the father made to me, which in turn has inspired a thousand souls and stories with similarity,” explained Kondage. Selecting the roles for a story which such depth and such promise, it was important that they really found the right people. However this is not a one man effort. So many people came into this. So many people contributed to its success. These are songs that are the lifeblood of the music industry and can revitalize the lives of people who come into contact with it. "Blissful Minds, is a non- profit charity opened and run in memory of the little champ by his family and friends. We help out a lot of kids with minimal resources and facilities. You too can be a part of us catch us on Facebook and Instagram Blissful Minds." “Also I want to thank everyone who is there for me, specially my parents and family, I’ve got an amazing bunch friends too. My next song will be out next month so stay in touch, that video has a small twist to what you always see as well,” summed up Kondage.